If you look into it, there are a surprising number of women who were combatants during WWI. While the Women&apos;s Battalions in Russia are fairly well known (and there were women acting as Red Guards in Finland, too, in the fighting in 1918), others are less so. It is well established that in many countries women took over traditionally male jobs working in factories and on farms, but there are also some cases of women seeing combat, from countries on both sides of the conflict. Of all the non-Russian countries to produce female combat soldiers, however, Serbia stands out. And among the Serbian women who bore arms, Milunka Savic is exceptional. 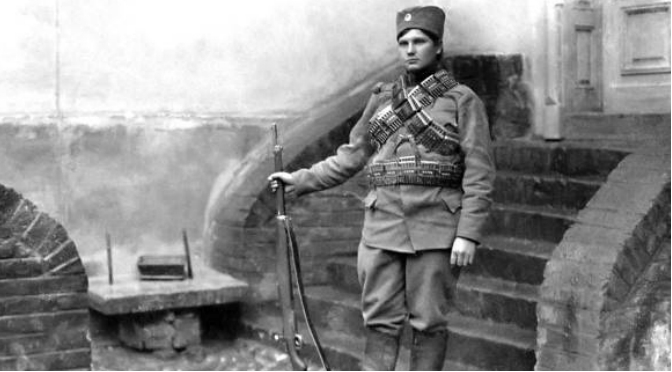 Serbian sources say that she is the most-decorated female soldier in the history of warfare, and it could well be true. Wikipedia lists her military awards as: the Order of the Star of Karadorde (twice - Serbia), Légion d’Honneur (twice - France), the Russian Cross of St. George, the British medal of the Most Distinguished Order of St Michael, the Miloš Obilic medal (Serbia), and the French Croix de Guerre with gold palm (the only woman to receive it during WWI). In her early twenties, when her brother was called up for service in the Second Balkan War in 1913, she cut her hair and took his place. She subsequently saw many combat deployments, including at the Battle of Bregalnica, the largest battle of the war, where she was decorated and promoted to corporal. On her tenth combat deployment she was wounded, and it was discovered that she was not a man - offered a role as a nurse, she replied that she wanted to be in combat. After she had stood at attention for an hour ("I will wait," she said) her commander decided he did not want to lose such a good soldier, and she was given permission to carry on. 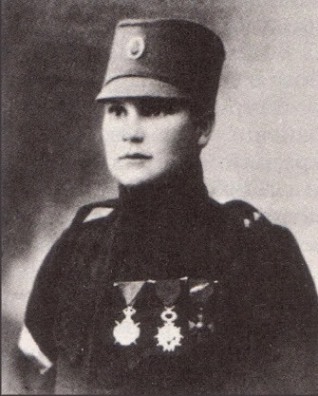 She did, seeing action throughout WWI, and fighting in (among many) the 1916 Battle of the Crna Bend during the Monastir Offensive, where she single-handedly captured 23 Bulgarians. She saw a lot of combat, as her list of awards attests, and she accounted for more than 50 enemy prisoners over the course of her career as a soldier. She was decommissioned in 1919. While - as a recipient of the Legion d&apos;Honneur - she could have lived comfortably in France on a pension, she instead preferred to live in Belgrade, where she worked and single-handedly raised her own daughter and three adopted ones, for which she received no formal honours or decorations. Later in her life, her heroism was recognized after many years spent largely outside the public spotlight - today, there is a street in Belgrade named after her. She died in 1973. WWI has become a reasonably popular period to wargame, with an increasing interest even in the conflicts in the Balkans. There is even an Age of Valor module being developed for the Balkan Wars - you can get a free pre-release download here. 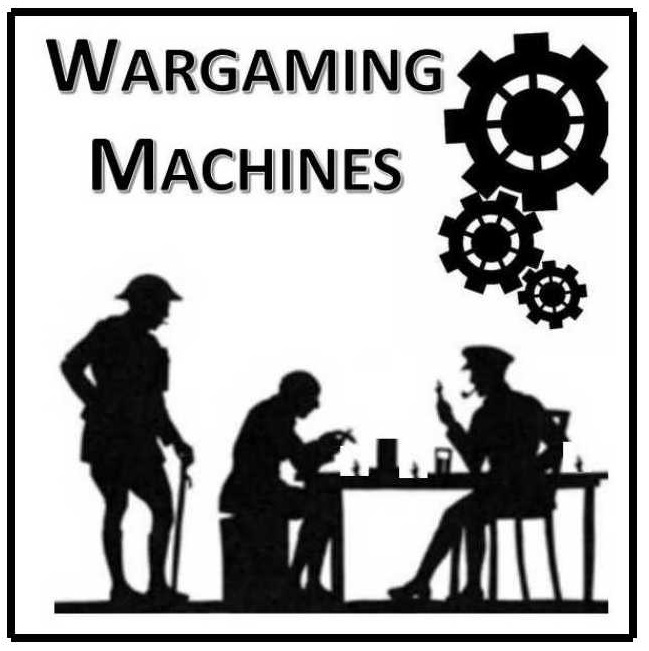 The same is true for rules - whether you are skirmish gaming or re-fighting some of the huge battles of the Balkan Wars and WWI, there will be a set of rules to suit. Unlike the Western Front, the action was relatively fluid, so you will find more maneuver in your battles, and more choice for game systems as a consequence. When we look at the Balkans during the period from 1912 - 1918, we find a wargaming period whose time has apparently - and quietly - come.